Artyom Timeyev (Артём Тимеев), native Russian speaker. "Nothing more true than <i>not</i> to trust your senses; and yet what are your other evidences?" Out of a mane of tawny clouds. Leap the long rods of polished steel. В морозном небе свой багрян. To triumph and disperse again! This huge and dewy dome astride! What gentle bliss to tired eyes! 'Tis but an evanescent prize. A minute's wait, and naught to see. And humankind has kicked the pail. Maples assume a dress of golden sheen. Say leaves: embroider us instead with green. Of lovely groves and dews that taste like wine. And if they hear at all, give not a sign. Russian to English: Lina Kostenko, "Шукайте цензора в собі." Ще і стебла від рук гарячі. And some shared with you, as it were. In your skylight has been impressed. And scrolls and scrolls of memories! But also things we've yet to fathom. To same degrees in worldly pride. And muse aloud, like truly yours. Lord's lantern shattered into bits. We shall make you shiver. What have I to fear? Не знайду доріженьки до коханого. Де ми зустрічалися під вербичкою. Не знайду доріженьки до хорошого. Їм не заморозити мого серденька. He and Cossacks they betook them over waves to ride. There to free their Cossack brothers by the Turks kept down. They did see their fellow captives with their heads bent down. We shall yet drink wine together, we shall yet rejoice. Here's to Zaporizhian Cossacks rescued from the chain. And barrel’d cod, and meat in spicy shanks. A practice glorious, well-nigh ideal! Makes hot as stoves with law-abiding zeal. Unless allowed a part to utilize. And lend you through the day a guiding thread. Russian to English: Hamster Song (Russian children's song) "Мы хомяки и мы хомячим"
Пчелки жужжат и цветы опыляют. Как жаль, что только две щеки! Но не теряют бодрость духа хомяки. На свете мы не можем жить иначе. Мы хомяки! И мы хомячим. Oh-oh, I've got no cheeks to spare! But is it for a hamster to despair? What makes us human? One of the most obvious answers to this age-old question lies in the structure and function of the central nervous system, particularly the neocortex, where unique human features may lie. In fact, humans have not only a proportionally much larger neocortex compared to that of other mammals, but also a huge frontal lobe, the font of higher cognition. In seeking clues to the biological basis of being human, neuroanatomists have long compared the human brain to that of other species, leading them to develop two distinct theories. Santiago Ramón y Cajal, the father of neuroanatomy, argued that the cortex of “higher” mammals, like humans, has more classes of neurons than those of “lower” mammals, for which he used the mouse as an example . Specifically, he proposed that the variety and sophistication of “short-axon” cells, i.e., GABAergic inhibitory interneurons, increases as one climbs up the evolutionary ladder . The alternative position—that differences among species arise not from variations in cell types, but from the size and complexity of the circuits—was defended by Cajal's own disciple, Rafael Lorente de Nó, who, like many of the best students, did exactly the opposite of what he had been taught. Choosing the mouse as his experimental system for his thesis at the tender age of 20, Lorente described as many cell types in the mouse neocortex as Cajal had described in humans. Cajal politely published Lorente's paper in his journal without corrections , yet told his disciple that he was wrong. The argument would continue until Cajal's death: on his deathbed in 1934, Cajal wrote to Lorente, admonishing him: “the mouse is not a good choice for the study of cortical circuits because of its paucity of short-axon cells” . One of the most distinct types of short-axon cells, or GABAergic interneurons, present in mammalian cortical circuits is the “chandelier” cell. Their distinct axonal arbor, with parallel arrays of short vertical sets of presynaptic terminals (“cartridges”), resembles the candlesticks of an old-fashioned chandelier (Figure 1). Chandelier neurons are rare, forming only a small percentage of all GABAergic interneurons —both Cajal and Lorente missed them—and were not described until 1974 by Szentagothai and Arbib . A similar neuron with parallel arrays of terminals (type 4 cell) was reported by Jones at about the same time . Based on the morphology of their terminals, Szentagothai thought that chandelier cells formed arrays of synapses with apical dendrites of pyramidal neurons , but this idea was proven wrong. Szentagothai's own disciple, Peter Somogyi, used electron microscopy to demonstrate that morphologically similar neurons, which he named axo-axonic cells (AACs), specifically contact the axon initial segment of pyramidal cells . This key finding was confirmed by Fairen and Valverde  and DeFelipe et al. , who proposed that chandelier cells and AACs were the same cell type. Both terms have been used interchangeably in the literature ever since. Reconstruction of a biocytin-filled chandelier cell from a mouse neocortical brain slice. Soma and dendrites labeled in blue, axon arbor in red. Chandelier cells have characteristic terminal portions of their axon, which form short vertical rows of boutons resembling candlesticks. Each candlestick innervates a single axon initial segment of a pyramidal cell. The striking morphologies of chandelier neurons have captured the imagination of cortical researchers and are often used as the best examples to illustrate the apparently purposeful design of cortical microcircuits. Each chandelier cartridge establishes a large number of synapses with each pyramidal neuron, strategically placed in the axon initial segment, where the action potential is generated. Thus, chandeliers appear ideally suited to shut off entire groups of pyramidal cells, making them the ultimate cortical switches. Until recently, little was known about the function of chandelier cells, owing both to their rarity and the lack of unique neurochemical or physiological markers. Occasional recordings from chandelier cells in vitro [12,13] and in vivo [14,15] revealed their interneuronal firing properties. But two years ago, a landmark paper by Gabor Tamás and colleagues  turned the field upside down. Tamás, himself a disciple of Somogyi, argued that chandelier cells have an excitatory as well as an inhibitory function. Amazingly, a single action potential in a chandelier neuron could directly drive multiple postsynaptic pyramidal cells to spike, providing a high-fidelity mechanism for signal propagation in a local cortical microcircuit. Forcing pyramidal cells to spike could result in excitatory feedback on the chandelier cells, providing a physiological marker to distinguish at least some chandelier cells from other interneurons. A similar phenomenon of feedback excitation had likely been seen in hippocampal chandelier cells over a decade earlier , and was also recently described in the amygdala , suggesting that the excitatory role of chandelier cells may in fact be widespread. To explain how chandelier cells could be excitatory, Tamás and colleagues argued that the GABA reversal potential (EGABA) is more depolarized at the axon than elsewhere in the neuron, due to the lack of the potassium chloride cotransporter KCC2, which extrudes chloride to the extracellular space. But simply lacking the cotransporter may be insufficient to maintain such a large EGABA gradient between the axon and soma. Subsequently, a recent study utilizing GABA uncaging has reported a depolarizing shift in EGABA from dendrite to soma to the axon, and further showed that high axonal expression of the chloride importer NKCC1, perhaps in addition to a lack of KCC2, could maintain a depolarized EGABA . In this issue of PLoS Biology, Molnár et al. extend their earlier findings on cortical chandelier cells, performing a technical tour de force. Recording from human surgical samples, the authors identify—for the first time in humans—pairs of connected neurons and study their synaptic and circuit properties . Dual recordings from connected cells are the current “gold standard” of circuit neuroscience, because they allow physiological analysis of the effect of activating single axons [20,21], and thus the functional isolation of elementary, neuron-to-neuron, synaptic responses. Molnár et al. show that a single action potential in a single layer 2/3 cortical pyramidal cell can trigger polysynaptic chains of activity, detected as excitatory postsynaptic potentials (EPSPs) and inhibitory postsynaptic potentials (IPSPs) in recorded neurons (Figure 2). This reveals an extremely efficacious means of activity propagation in the cortical network. Although earlier work had shown polysynaptic activations following a single chandelier spike [16,17], the current study demonstrates much longer responses. Moreover, one of the most interesting results from Molnár et al. relates to the temporal structure of the activity patterns elicited after stimulation of a single neuron. While most of them appear to propagate through the circuit with increasing disorganization, occasionally the authors were able to trigger an amazingly precise temporal pattern (see Figure 1B in Molnár et al.). This implies that the microcircuit is capable under some circumstances of generating patterns of activation with low jitter and high temporal precision, resembling precise spatiotemporal patterns of network activation reported in neocortical preparations in vivo and in vitro [22–24]. An action potential in a pyramidal neuron (cell 1) elicits a spike in a chandelier cell (2) via a strong connection, in turn evoking a third-order spike in a downstream pyramidal cell (3). This spike results in a trisynaptic EPSP being recorded in a postsynaptic pyramidal cell (cell 4, event A). At the same time, cell 3 drives both a basket cell (5) and chandelier cell (6) to threshold. The basket cell evokes a hyperpolarizing IPSP on the postsynaptically recorded pyramidal cell (cell 4, event B), four synapses removed from the original spike. The spiking chandelier cell (6) triggers yet another pyramidal neuron to fire (7), which produces an EPSP on the recorded neuron (cell 4, event C), five synapses away from the original spike. The result seen in the postsynaptic pyramidal neuron (cell 4) is a delayed EPSP-IPSP-EPSP sequence (events A, B, and C), traveling through three, four, and five synapses respectively. Molnár et al. propose that polysynaptic pathways similar to this one can be activated by a single action potential in a cortical pyramidal cell. What is the mechanism of these activations? The authors identify two key factors. First, very strong (up to 8–20 mV) connections from pyramidal cells to basket and chandelier cells enable spike-to-spike transmission (Figure 2). In human brain slices, a relatively high proportion of basket (20%) and chandelier neurons (33%) could be driven to threshold by a single pyramidal neuron spike—in stark contrast to an estimated 1% likelihood of finding polysynaptic events in rat. The second factor involves chandelier cell recruitment of downstream pyramidal cells through their depolarizing effect. These downstream pyramidal cells may thus produce EPSPs three synapses removed from the original spike, while—by virtue of large-amplitude synapses—perhaps activating more chandeliers and basket cells (thereby producing a second round of IPSPs, this time four synapses downstream of the original spike!). Such polysynaptic chains of activation, alternating between pyramidal and axo-axonic cells, could theoretically continue unabated, except that synapses onto, and from, many interneurons exhibit synaptic depression (a decrease in synaptic strength [25,26]). The finding of such strong synapses between pyramidal cells and interneurons in human samples raises many questions. While the authors rule out interspecies differences in interneuron input resistance in vitro, it remains plausible that in vivo input resistances are lower for humans than for other animals. In this case, the strikingly large synaptic amplitudes may reflect an adaptation to different electrotonic conditions. Also, given that the activation of pyramidal neurons by chandelier cells depends crucially on the resting membrane potential of the pyramidal cell and the chloride equilibrium potential at the axon initial segment, it is possible that the exact extracellular milieu in which the neurons are bathed could facilitate, or impede, this effect. In this respect, it is essential to repeat these rodent experiments in vivo. Also, the preparation of human surgical samples differs significantly from that of rodent brain slices, and it is possible that the reported interspecies differences result from the different methods used. Alternatively, the large-amplitude EPSPs that enable extended polysynaptic sequences could indeed be unique to humans. Finally, even a relatively distinct group of neurons such as chandelier/axo-axonic cells is composed of cells with different morphologies , so it is conceivable that different subtypes of chandeliers or AACs exist. Indeed, a recent report has described a new type of AAC , raising the possibility that equating chandelier cells and AACs may be too simplistic. Therefore, one needs to re-examine whether all AACs are chandelier cells and to establish whether the findings of Molnár et al. and Tamás et al. apply to all chandeliers or AACs, or only to a subtype of them. 1. Role of single neurons in cortical networks: Given that even a small volume of neocortex contains tens of thousands of neurons, and that excitatory synapses are generally weak, with depressing dynamics and low probability of success, the role of individual neurons in the cortex (or more generally, in the mammalian brain) is thought to be negligible. Rather, it is traditionally believed that only the joint activity of many neurons can rise above these biophysical limitations to have any functional impact. But recent data from the Brecht laboratory have challenged this basic assumption [28,29]. These in vivo experiments showed that the activation of individual neurons can alter the motor or sensory behavior of the animal, revealing the salience of single neuron in the brain. These remarkable experiments have lacked a mechanism that could explain how action potentials generated by a single neuron could ever propagate through these biophysical hurdles. Molnár et al. now provide a potential mechanism for the Brecht data: perhaps the stimulated neurons trigger the activity of chandelier cells, lighting up chains of activity. At the same time, the Brecht data were obtained in rats, so it would appear inconsistent with the low probability of generating polysynaptic chains in rat brain slices discussed by Molnár et al. Alternatively, there may be a difference in propagation efficacy in vitro versus in vivo. Nevertheless, the Molnár et al. data confirm that, at least in some circumstances and in some species, stimulation of individual cortical neurons in vivo can generate an activity pattern that propagates through the circuit. 2. Generation of precise activity patterns: A second significant contribution of Molnár et al. relates to the debate of whether the cortex can generate spatiotemporal patterns of activity with great accuracy. As mentioned, spontaneously generated precise patterns of activity have been reported in vitro and in vivo [22,23,24], yet for every paper that reports such patterns, there appears to be at least two studies that negate their statistical significance. The fact that these precise patterns can actually be triggered by the experimenter, as shown by Molnár et al. (and also by MacLean et al. with thalamic stimulation ), makes the discussion of their statistical significance moot, and reorients the question to the examination of their mechanism and function. Leaving aside the potential function of these precise patterns for another discussion, the data of Molnár et al. could explain how these patterns are generated, by demonstrating that they can be triggered by the firing of single pyramidal neurons. This is a very different scenario from past proposals, which have focused on the synchronous firing of groups of cortical neurons (Abeles’ synfire chains ), or on the pacemaker behavior found in subtypes of cortical cells . The demonstration that cortical circuits can generate and propagate precise spatiotemporal patterns of activity, together with the data from Brecht et al. eliciting stereotypical motor patterns by stimulating individual cortical neurons, supports the possibility that the cortex may fundamentally resemble the central pattern generators that dominate motor circuits [33,34], as if the forebrain represented the encephalization of more primitive fixed action patterns . 3. Human differences: Finally, the data from Molnár et al. reveal strong synaptic pathways in human neocortex. These strong interactions have not been seen before in other species, raising the possibility that human neocortex is endowed with specialized circuit properties. This is a controversial suggestion, since our large prefrontal lobes suggests that mental differences among species are due to differences in the size of cortical circuits, rather than differences in their neurons or modes of operation. Nevertheless, recordings from monkey interneurons have revealed physiological differences from those from rats, as if neurons from the same type were functionally different across species [36,37]. In fact, although chandelier cells have been described in many mammalian species, including marsupials , they are particularly complex in humans, with larger axons and morphologically more elaborate cartridges, as compared to those of mice [5,39]. One could argue that these morphological differences may translate into the ability to strongly recruit polysynaptic chains. Or, perhaps morphological differences between chandelier cells are coincidental, and it is the biophysical characteristics of human excitatory synapses onto interneurons that enable these uniquely human circuit properties. Finally, perhaps human cortical circuits have significant physical differences from those from other species, an idea supported by the morphological differences found when comparing the neocortex across different mammalian species (reviewed in ). "Что делает нас людьми? Один из самых очевидных ответов на этот древний вопрос - в том, что некие особенности структуры и функционирования центральной нервной системы человека, в первую очередь неокортекса, отличают человека от других животных. Мы не только обладаем пропорционально крупнейшим среди млекопитающих неокортексом, но и имеем самые крупные лобные доли, отвечающие за высшие когнитивные функции. В поисках свидетельств, способных пролить свет на биологический базис человека, нейроанатомы издавна сравнивали человеческий мозг с мозгом других видов, и в результате возникли две отдельные теории. Сантьяго Рамон-и-Кахаль, отец нейроанатомии, утверждал, что у "высших" млекопитающих, таких как человек, в кортексе содержится больше классов нейронов по сравнению с "низшими", и в качестве примера приводил мышь. В частности, он предположил, что разнообразие "короткоаксонных" клеток, т.е. ГАМКергических ингибиторных интернейронов, и степень утонченности их характеристик, всё более увеличиваются при движении вверх по эволюционной лестнице. Альтернативная позиция - то, что межвидовые различия кроются не в вариации типов клеток, а в размере и сложности сетей - нашла поддержку у ученика Кахаля, Рафаэля Лоренте де Но, который, как многие лучшие ученики, пошёл наперекор выученному. Избрав мышь своей экспериментальной системой при написании диссертации в нежном возрасте двадцати лет, Лоренте смог описать столько же типов нейронов в ее неокортексе, сколько было описано Кахалем у человека. Кахаль вежливо опубликовал труд Лоренте в своём журнале, не внося правок, но сообщил своему ученику, что тот заблуждается. Спор продолжался до самой смерти Кахаля: уже прикованный к постели, в 1934 году он увещевал Лоренте в письме: "мышь - плохой объект для изучения кортикальных сетей, у неё слишком мало короткоаксонных клеток". Одним из наиболее отчетливых типов аксо-аксональных клеток, или ГАМКергических интернейронов, присутствующих в кортикальных сетях млекопитающих, являются "клетки-канделябры". Их выделяет аксональное ветвление с типичными параллельными массивами пресинаптических терминалей, выстроенных короткими вертикальными линиями (т.н. "картриджи"), напоминающими свечи в старомодном канделябре (рис. 1). Клетки-канделябры составляют малую часть всех ГАМКергических интернейронов- их не заметили ни Кахаль, ни Лоренте, и лишь в 1974 году исследователи Szentagothai и Arbib описали их как отдельный подтип. Похожий нейрон, также с параллельными массивами терминалей (клетка 4 типа), был описан Джонсом примерно в то же время. Рассмотрев форму их терминалей, Szentagothai посчитал, что клетки-канделябры образуют массивы синапсов с апикальными дендритами пирамидальных клеток. Через два года его ученик Peter Somogyi, исследуя под электронным микроскопом схожие по форме нейроны, отметил их связь с начальными сегментами аксонов пирамидальных клеток, и назвал этот новый по его мнению тип "аксо-аксональными клетками" (Axo-Axonic Cells, AAC). Уникальное аксо-аксональное соединение было позже подтверждено Fairen и Valverde и DeFilipe et al., который предположил, что AAC на самом деле и есть канделяберные нейроны. С тех пор оба названия используются в научной литературе на равных правах. Выдающиеся морфологические особенности клеток-канделябров захватили воображение исследователей кортекса, их часто используют для иллюстрации очевидной целенаправленности устройства микросетей коры. Под влиянием ГАМКергических канделяберных клеток находится множество пирамидальных нейронов, причем воздействию подвергается важный участок - начальный сегмент аксона, место генерации потенциала действия. Казалось бы, для клеток-канделябров стратегически идеальна роль кортикального выключателя, способного останавливать целые группы возбудительных глутаматергических нейронов. До начала 21 века клетки-канделябры оставались малоисследованными, как по вине своей малочисленности, так и из-за отсутствия специфических нейрохимических либо физиологических маркеров. Время от времени осуществлялась запись активности канделяберных нейронов in vitro[12,13] и in vivo[14,15], давшие знание о их активности в качестве интернейронов. Однако в 2006 году в журнале Science появилась статья Gabor Tamás et al., перевернувшая многие представления. Габор Тамаш, ученик Peter Somogyi, когда-то разглядевшего необычный характер связей клеток-канделябров, утверждал, что эти клетки могут не только ингибировать, но и возбуждать пирамидальные клетки, что еще более уникально для ГАМКергических нейронов. Удивительно - один потенциал действия клетки-канделябра напрямую вызывал спайки во множестве постсинаптических пирамидальных нейронов, обеспечивая высокоточный механизм передачи сигнала в локальной кортикальной микросети. Простимулировав спайки в пирамидальных клетках, можно получить обратную связь - клетки-канделябры отреагируют возбудительной активностью, а это своеобразный физиологический маркер, позволяющий выделить хотя бы некоторые из них среди других интернейронов. Вероятно, похожее явление возбудительной обратной связи было отмечено в клетках-канделябрах гиппокампа десять лет назад, а недавно было описано в амигдале, следовательно, возбудительная роль клеток-канделябров может быть широко распространена. В попытке объяснить возбуждающую активность клеток-канделябров, Тамаш с коллегами утверждают, что ГАМК потенциал реверсии (EGABA) более деполяризован в аксоне, чем в других частях нейрона, из-за недостатка котранспортера хлорида калия KCC2, выталкивающего хлорид во внеклеточное пространство. Однако простого недостатка котранспортера может оказаться недостаточно для поддержания столь сильного EGABA-градиента между аксоном и сомой. Проведённое недавно исследование с использованием методики GABA uncaging продемонстрировало деполяризующий сдвиг в потенциале реверсии EGABA от дендрита к соме, а затем к аксону, и, более того - показало, что высокая аксональная экспрессия хлорид-импортера NKCC1, возможно, вдобавок к недостатку KCC2, может поддерживать деполяризованный EGABA. Потенциал действия в пирамидальном нейроне (клетка 1) вызывает спайк в клетке-канделябре (2) благодаря сильной связи, что в свою очередь вызывает спайк третьего порядка в следующей пирамидальной клетке (3). Благодаря этому спайку, трисинаптический EPSP фиксируется аппаратурой на пирамидальной постсинаптической клетке (клетка 4, событие A). В то же время, клетка 3 провоцирует активность как в корзинчатом (5), так и в канделяберном нейроне (6). Корзинчатый нейрон вызывает гиперполяризирующий IPSP на пирамидальной клетке, что отмечается в постсинаптической записи активности (клетка 4, событие B), на расстоянии уже в четыре синапса от первоначального спайка. Спайк клетки-канделябра (6) вызывает активность в ещё одной пирамидальной клетке (7), а это вызывает в анализируемом нейроне EPSP (клетка 4, событие C), в пяти синапсах от первоначального спайка. В целом постсинаптический пирамидальный нейрон (клетка 4) демонстрирует отложенную последовательность EPSP-IPSP-EPSP (события A, B, C) под воздействием сигналов, прошедших соответственно через три, четыре и пять синапсов. Molnar et al. предполагают, что подобные полисинаптические пути активируются единственным потенциалом действия кортикальной пирамидальной клетки. Каков механизм этих активаций? Авторы выделяют два ключевых фактора. Во-первых, чрезвычайно сильные (до 8-20 mV) связи пирамидальных клеток с корзинчатыми и канделяберными нейронами позволяют осуществлять передачу сигнала spike-to-spike. В срезах мозга человека, относительно высокая доля корзинчатых (20%) и канделяберных (33%) нейронов может достигать граничных значений и активироваться под воздействием единственного спайка пирамидальной клетки - тут в глаза бросается контраст с мозгом крысы, у которой вероятность обнаружения полисинаптических событий оценивается примерно в 1%. Второй фактор заключается в рекрутинге канделябрами "низлежащих" пирамидальных клеток благодаря их деполяризующему действию. Эти пирамидальные клетки, расположенные "ниже по течению", могут производить EPSP на расстоянии в три синапса от первоначального спайка, в то же время - благодаря высокоамплитудным синапсам - активируя больше канделяберных и корзинчатых нейронов (запуская тем самым второй круг IPSP, уже в четырёх синапсах от оригинального спайка!). Подобные полисинаптические активационные цепочки, со сменяющимися пирамидальными и аксо-аксональными клетками, теоретически могут тянуться бесконечно, если бы многие входящие и исходящие синапсы на интернейронах не демонстрировали эффекта синаптической депрессии (снижение синаптической силы[25,26]). Обнаружение столь сильных синапсов между пирамидальными клетками и интернейронами в образцах человеческого мозга вызывает множество вопросов. В то время как авторы исключают межвидовые различия в in-vitro показателях входящего сопротивления интернейронов, остается вероятность того, что in-vivo входное сопротивление у человека ниже по сравнению с другими животными. В таком случае, поразительно крупные синаптические амплитуды (??) могут отражать адаптацию к различным электротоническим условиям. Также, учитывая ключевую зависимость активации пирамидальных нейронов канделябрами от потенциала покоя на мембране пирамидальной клетки и потенциал равновесия хлорида (?chloride equilibrium potential?) на инициальном сегменте аксона, есть вероятность того, что конкретный характер внеклеточной среды, в которой содержатся нейроны, может как усиливать, так и снижать этот эффект. В этом отношении важно повторить in vivo проведенные на срезах мозга грызунов эсксперименты. К тому же приготовление хирургических срезов мозга человека значительно отличается от подготовки срезов мозга грызунов, и есть вероятность того, что описываемые авторами межвидовые различия появились вследствие разницы в методах. С другой стороны, высокоамплитудные EPSP, делающие возможными расширенные полисинаптические последовательности сигналов, могут быть действительно уникальной характеристикой мозга человека. И, наконец, даже столь отчетливая группа нейронов, как клетки канделябрыаксо-аксонные клетки, состоит из нейронов с различной морфологией, и представляется возможным существование отдельных подтипов канделябров либо AAC. Действительно, в недавнем сообщении был описан новый тип AAC, поднимая вопрос о том, не слишком ли упрощенным является уравнивание канделяберной клетки с аксо-аксонной. Следовательно, нужно проверить, все ли AAC представляют собой клетки-канделябры, и установить, применимы ли находки Molnar et al. и Tamas et al. к канделябрам, либо к AAC, либо к одному из их подтипов. 1. Роль единичных нейронов в кортикальных сетях: даже в малом по объему участке неокортекса содержатся десятки тысяч нейронов. Возбудительные синапсы обычно слабы, обладают депрессорной динамикой и низкой вероятностью прохождения сигнала, поэтому роль индивидуальных клеток коры (в общем плане - всего мозга млекопитающего) считается ничтожно малой. Напротив, как традиционно считается, лишь совокупная активность многих нейронов может подняться над этими биофизическими ограничениями и оказать какое-либо функциональное воздействие. Но недавние результаты, полученные в лаборатории Брехта, поставили под удар эти базовые предположения. [28,29] В ходе in-vivo экспериментов было показано, что активация индивидуальных нейронов способна менять моторное либо сенсорное поведение животного, а это говорит о большой роли единичного нейрона в мозге. К сожалению, в этих замечательных работах не был предложен механизм, способный объяснить, как потенциалы действия, сгенерированные единичным нейроном, вообще способны преодолевать расстояния вопреки перечисленным выше биофизическим препятствиям. И вот Molnar et al. добавляют к данным Брехта потенциальный механизм: возможно, стимулированные нейроны активируют клетки-канделябры, запуская активность по цепочке. В то же время данные Брехта были получены на крысах, что не согласуется с указанием Molnar et al. на низкую вероятность полисинаптических цепочек активности в мозге крыс. С другой стороны, эффективность распространения in vitro и in vivo может быть различной. В любом случае, данные Molnar et al. подтверждают, что по меньшей мере в некоторых обстоятельствах и у некоторых видов стимуляция индивидуальных кортикальных нейронов in vivo способна порождать паттерн активности, распространяющийся по сети. 2. Генерация точных паттернов активности: еще один важный вклад Molnar et al. касается споров о том, способен ли кортекс генерировать пространственно-временные паттерны активности с высокой точностью. Как упоминалось, спонтанно сгенерированные точные паттерны активности отмечались в исследованиях как in vivo, так и in vitro,[22,23,24] но на каждую статью, сообщающую о таких паттернах, приходится как минимум две работы, отрицающие их статистическую значимость. Тот факт, что эти точные паттерны в действительности могут быть запущены экспериментатором, как показано Molner et al. (а также MacLean et al. при стимуляции таламуса), ставит под сомнение необходимость дискуссии об их статистической значимости, и направляет наше внимание на исследование их механизма и функций. Данные Molnar et al. могут объяснить, как возникают эти паттерны, ведь они показали, что цепочки активируются спайками единичных пирамидальных нейронов (возможную функцию точных паттернов оставим для последующих обсуждений). Этот сценарий идет вразрез с предыдущими предположениями, фокусировавшимися на синхронной активности групп кортикальных нейронов (Abeles' synfire chains), или пейсмейкерном поведении, отмечаемом у некоторых подтипов кортикальных клеток. Демонстрация того, что кортикальные сети способны генерировать и пропагировать точные пространственно-временные паттерны активности, в сочетании с данными Brecht et al., вызвавшего стереотипические моторные паттерны при активации единичных кортикальных нейронов, говорит в пользу предположения о том, что кортекс в своей основе напоминает центральные генераторы паттернов, доминирующие в моторных сетях,[33,34] как если бы передний мозг представлял собой энцефализацию более примитивных фиксированных паттернов активности. 3. Человеческие особенности: И, наконец, данные Molner et al. открывают факт существования сильных синаптических путей в неокортексе человека. Такие сильные взаимодействия ранее не наблюдались у других видов, и, вероятно, неокортекс человека обладает специализированными нейросетевыми характеристиками. Это противоречивое предположение, ведь крупный размер наших лобных долей указывает на то, что ментальные межвидовые различия существуют скорее благодаря разнице в размере нейросетей, чем вследствие разницы в устройстве нейронов или особенностях осуществлении активности. Тем не менее, запись активности интернейронов обезьян раскрыла физиологические свойства, отличающие их от нейронов крыс, как если бы клетки одного типа были функционально различны у разных видов. [36,37] На самом деле, хотя клетки-канделябры были описаны у многих млекопитающих, в том числе у сумчатых, у человека они особенно сложны, отличаясь от подобных клеток у мышей своими крупными аксонами и морфологически более замысловатыми картриджами. [5,39] Можно предположить, что эти морфологические отличия ведут к усиленному рекрутированию полисинаптических цепей. Или, возможно, морфологические различия клеток-канделябров являются случайным совпадением, и уникальные свойства нейросетей человека определяются в первую очередь биофизическими характеристиками возбудительных синапсов. Наконец, возможно, кортикальные сети человека значительно физически отличаются от других видов, в пользу чего говорят межвидовые исследования коры млекопитающих, в ходе которых обнаруживаются морфологические особенности (обзор в ). Experience Years of translation experience: 17. Registered at ProZ.com: Oct 2009. 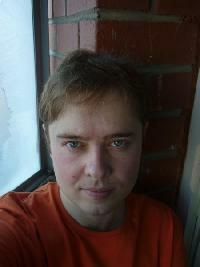 Professional practices Artyom Timeyev endorses ProZ.com's Professional Guidelines (v1.1). My name is Artyom Timeyev. I'm a Russian freelance translator, currently translating chemical and petrochemical industry news into English and from English for a website specializing in this kind of information. Provided below are links to my accounts at the English Language and Usage (ELU) and English Language Learners (ELL) parts of the StackExchange project. I find asking and answering questions on lexicology and grammar a useful linguistical practice.